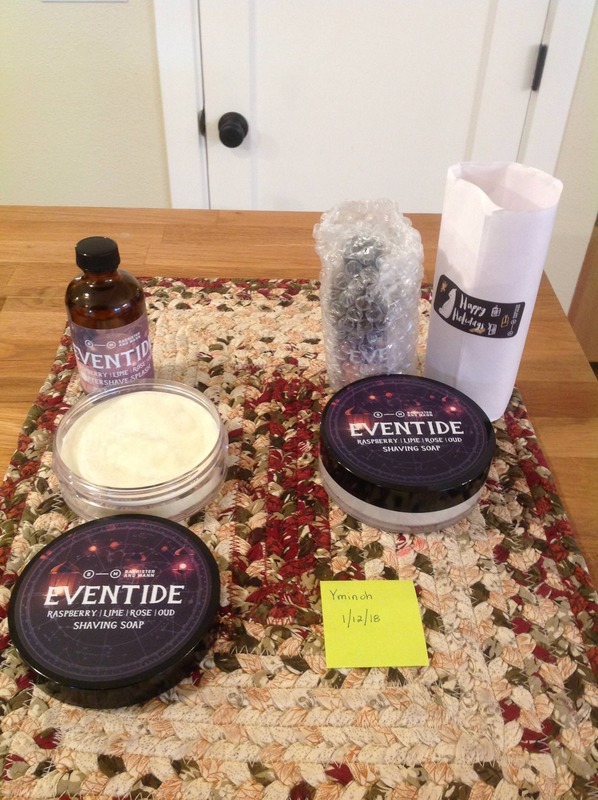 I have 2 sets of Eventide that I would like to put up for trade and possibly sell if what I'm looking for is not found. The set of soap and Aftershave on the left was used once and the set on the right is brand new, never used. I'm pretty open to any offer but I would like to try the B&M Reserve Fern. Other items that interest me are Haslinger soap, Wholly Kaw soaps, Grooming Dept soaps, and maybe other B&M soaps. Please PM w/ any offers. Thanks!